Before attending a meeting, or going for an intimate date, you might want to go into a private room and do these simple techniques. In this way, you can avoid awkward moments or someone giving negative comments on you in case your breath really stinks. If your breath smells fine, then there you have no issues with bad breath. Here’s a 2 minutes and 27 seconds A Simple, Effective Way to Protect Your Braces video. See full transcript below. Wearing braces requires thorough care for your mouth, especially around teeth where braces are attached. Food particles and plaque can be usually stuck on the nooks and crannies of braces, which may later cause tooth decay and gum problems. That is why cleaning your teeth must be beyond ordinary so you can avoid such conditions in the future. Tongue plays a significant part not just in your oral health, but on your overall body wellness, too. Brushing and flossing your teeth remove bacteria dwelling on teeth and gums. However, 50% of the mouth bacteria reside on the surface of the tongue. 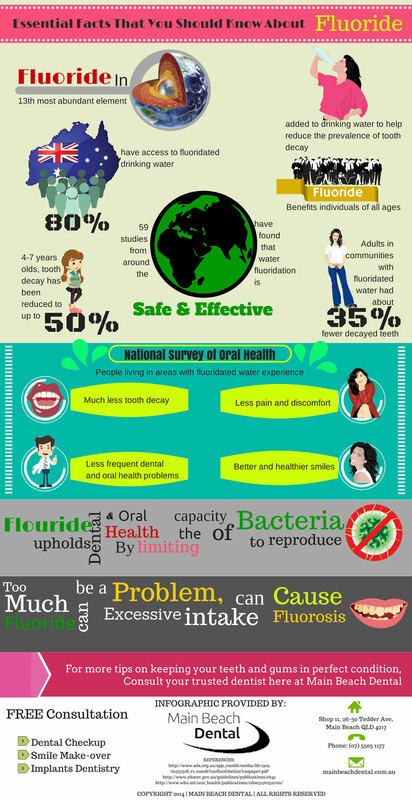 This is why it is extremely important to include tongue cleaning to the routine of your oral hygiene. Tongue cleaning is an Ayurvedic practice that’s been around since ancient period in India. Ayurveda, which is a traditional Indian Science of Medicine, suggests tongue cleaning as part of your oral hygiene to remove ama (the toxic byproduct of improperly digested foods), and toxic debris that accumulates in the body. While you are sleeping, the digestive system is fully awake to detoxify itself. The toxins are accumulated on the tongue’s surface through internal excretory channels and are accountable for the white film commonly seen on the tongue when you check it every morning. First thing in the morning you should scrape your tongue as this eliminates the bacteria from your tongue and from your body. As a result, your overall health and immune system are remarkably improved. Oral cancer has been a threat to Australians for quite sometime. As what the Australian Institute of Health and Welfare research says, there are around 2500 new cases popping every year for oral and pharyngeal cancer among Australians. The main culprit would always go to tobaccos and alcohol intake. Obviously, one simple way of preventing oral cancer is refraining yourself from engaging in these kind of habits. How is Your Oral Hygiene Doing? For most people, brushing teeth and having good breath is already a satisfying sign that they’ve been doing great in their oral hygiene. What they just don’t know, this essential routine does not end that way. Oral hygiene is not just about putting toothpaste on the top of your toothbrush or flossing away food particles; it’s beyond all these. Your teeth and gums must be both absolutely healthy. 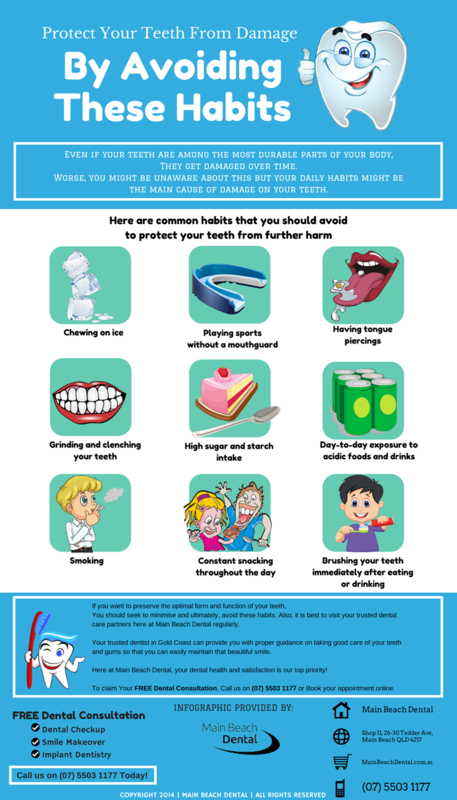 One basic step to consider in maintaining good oral hygiene is avoiding unhealthy lifestyle activities that will slowly destruct the strength of your teeth. Children should minimise eating sweets such as too much candies and chocolates. Adults, on the other hand, must practice healthy living through reducing alcohol intake and quitting smoking habits. Don’t just simply brush your teeth. Do it thoroughly. Also, it’s a constant advice to brush your teeth every after meal, and don’t forget to do this twice a day. Being idle in brushing your teeth might lead to bacteria build-up, gum disease and cavities. Giving off that sweet and genuine smile is one of the most noticeable and most pleasant way that you can communicate without the use of words. What is best about it is it does not take much effort to show off your radiant smile and yet, it can instantly give joy and delight to the people around you. In essence, a smile is more than just a simple gesture, more than just a wonderful sight. It carries several positive effects for you and most especially, to other people. Researcher from different fields have studied how the beauty of your smile affects others. Here are some of their findings. Whenever people see someone giving them a sweet, sincere, and stunning smile, it is almost automatic for them to smile back. You might be familiar about the saying that goes “smiling is contagious” and yes, this is true. Experts have found that seeing someone smile stimulates the reward system of the brain, making us feel more positive and want to smile back. Your smile is one of the first things that people notice about you and based on what they see, they tend to form their own thoughts about your personality. In a study conducted by social psychologists, people who have pleasant smiles are seen as more attractive, trustworthy, intelligent, and successful, compared to those who have smiles which are not as good.